I always tell people it’s the little things that make me happy – a good hair day, catching all the green lights on the way home, or finding that lost $10 bill in my pocket. That’s why today, the official launch of our new and improved Ketner Group website, I am grinning ear to ear remembering all of the (several dozen) little things that happened during the journey of creating this latest version of KetnerGroup.com. For starters, before the painstaking, yet satisfying process of developing the new website began – Jeff Ketner and I made the bold decision to change the name of the agency to Ketner Group Communications, leaving behind Ketner Group PR + Marketing. As an agency, we have grown in so many ways over the past few years, not only in our ranks, but also in expanding our scope of services to offer social media management and digital content marketing to clients. We felt that the word “communications” better described where we are now and where we are headed in the years to come. We think it fits us quite nicely, and we hope you like it! So, a new name meant a new logo, with a new color palette, to go along with a new website! Enter our new and amazing friends from Mixtape Marketing (bless their hearts) who have hung in there with us since November 2017 and have been the best marketing and design partners we could ever ask for! No one ever said creating a new website was easy, but the Mixtape team made the nearly year-long process of getting this sucker off the ground a fun and enjoyable experience. Our hats off to them. As part of the new Ketnergroup.com site, we wanted the content, design, tone and imagery to better reflect who we are as a group and our philosophy as an agency. As the homepage says, we are “obsessed with exceeding client expectations” and we love showcasing our can-do culture. It’s at the heart of who we are. We are a fun group of taco and latte-loving “strategists, writers, talkers, listeners, tweeters, readers, music nerds and goofballs” who love nothing more than to see our clients win big. We think that sentiment is perfectly reflected in the new website. While we hoped to have launched the site sooner, we had a few worthwhile roadblocks come up this past year that needed our attention – like the six new clients we brought on in 2018, which led us to hire three new employees, bringing our current KG full-time employee count to 10. We were nominated as a finalist in “company culture” for the 2018 Greater Austin Business awards, and have been busy finalizing the details to open a New York office in 2019. Oh, and we bought new chairs for our conference room – they are so nice and comfy! Like I said, it’s the little things. I suppose you can consider this blog the digital version of a “ribbon cutting” ceremony for the new Ketnergroup.com! To make it KG official though, we celebrated with some Torchy’s chips and queso, a big chocolate cake and champagne. It’s how we roll. Welcome to Ketner Group Communications – our door is always open! Breakfast Tacos and PR: Make Plans to Attend the 2018 PRSA International Conference in Austin! I had the wonderful opportunity to attend last year’s PRSA International Conference in Boston, and as soon as I got back home, I knew immediately that I wanted to be involved in this year’s event taking place in Ketner Group’s very own backyard of Austin, Texas! The annual conference is a wonderful event that “spotlights the intersection of technology and media, and leads the competition by providing unparalleled information strategies and tools for the new trends impacting the industry.” As I wrote in my blog last October, it’s a great event for professional development, inspiration, networking and even mentoring with some of the students from PRSSA. This year, I’m THRILLED to say that Ketner Group will be a part of the planning as part of the PRSA Austin Chapter, the official hosts of the 2018 event. Stacy Lan and I have joined the opening reception committee, and we are excited! We are joined by our friends and peers from the Austin PR community to “get the party started” and show our colleagues from around the world just how awesome and wonderfully weird our city is. I suspect there will be plenty of breakfast tacos for everyone! Jonathan Mildenhall, Former Airbnb CMO. Mildenhall is a globally recognized thought leader in the worlds of business strategy and creative excellence. A proponent of purposeful branding, he is passionate about connecting consumers with brands in a meaningful, authentic way and building community-driven brands that promote positive societal change. As well, PRSA is currently accepting proposals for speaking at the event. The call for proposals deadline is March 26. Click here for more information! I encourage all of my PR peeps to consider attending this great event – I promise you will come away inspired and ready to execute on all the ideas you will hear about. Registration is open now, so y’all come on down to Texas and we’ll talk PR in October! For the record, I am the SVP and Partner here at Ketner Group Communications, with nearly 20 years of experience working as a public relations professional. I love the industry I work in, and I love helping my clients elevate their brands by telling impactful stories that make a difference. When done right, timely and ethically, PR is a beautiful thing to watch. It can also lead to a horrible train wreck when done wrong, too late or unethically. It’s hard for me not to notice good PR or bad PR when it’s happening outside of my work with Ketner Group – it’s like second nature to me. I am also a proud mother of two awesome kids, ages 9 and 13. I don’t know about the rest of you parents out there, but as soon as I became a mom, I felt as though I became an honorary mom to all the children on the entire planet. Meaning, I not only worry about my own two offspring constantly, but I also find myself concerned about every single kid that I see or hear about – even the older ones! A recent example: during the Winter Olympics, I found myself telling the young and talented athletes (via talking to the TV) who fell on the ice or lost a race, “Aww, it’s ok! You’ll get ‘em next time!” And don’t even get me started on when there is an injury involved. When watching college football, I’m always saying to myself, “His mother must be so worried about him right now!” I can’t help it – it’s also like second nature to me. So, for the most part, my “life lens” is part PR professional and part mom. When I watched all of the March for Our Lives protests happening around the U.S. this past weekend, my two “selves” automatically kicked in. By recent reports, March for Our Lives was one of the biggest youth-led protests since the Vietnam War. These protests, as we all know, were in direct response to the tragic school shooting at Marjory Stoneman Douglas High School in Parkland, Florida. By all accounts, the marches were a huge success – obviously! My Mom Reaction: These kids must be so tired, I hope they are getting enough to eat and are sleeping enough! Own the conversation: These kids have done a commendable job of keeping their conversation going and going so that others don’t do it for them. Any good PR person will tell their client or company that you must get out there before anyone else to tell your story, or risk the conversation or message going in the wrong direction. Master the soundbite: The students have also quickly mastered the art of the soundbite. Of course they have! Even my nine-year-old son can come up with clever soundbites to explain a funny situation that happened to him at school. They have been groomed for some time now to talk in short, witty conversations via social media. My Mom Reaction: I wonder if they got nervous before speaking to the crowd in Washington? The final end result of the PR campaign is TBD. But this we do know – it is a campaign that has quickly commanded the spotlight and is bound to continue to do so. I’ll continue to be in awe of them as a PR professional and will also worry about them as “far away mom,” but something tells me these kids are going to be just fine. Ever since I was a little girl, I’ve been obsessed with the Olympics. It didn’t matter if it was the summer or winter games, I was there, in front of the TV watching every moment I could. I remember watching Mary Lou Retton win the gold medal in the individual all-around competition in 1984, will never forget watching the drama unfold between Tonya Harding and Nancy Kerrigan, or watching in awe as Michael Johnson broke record after record in Atlanta. My childhood, early adulthood and even in recent years watching the games with my kids, are filled with Olympic memories. But the Olympic games are also something else – they are a PR dream, or a nightmare, depending on who you are and what situation you are in. For the athletes and the countries they represent, there are plenty of opportunities to overcome seemingly impossible challenges or to come to terms with not standing on the medal podium after years of hard work. In short, the Olympics is an abundance of PR stories, some sad, some happy and others simply inspiring – and I love them all. As a life-long Olympic spectator, my reaction is just that. Whoa. Yikes. But, as a PR professional, my reaction is to immediately feel for the U.S. Olympic communications team, the IOC’s communications team and of course the reps for both Shani Davis and Erin Hamlin. The games haven’t even started and the Twitter wars have started. Obviously so much has changed since my earliest memories watching the Olympics – the hair, the fashion, the actual competing countries, and of course, the communications aspect. Of course, the “inspiring stories” with NBC commentators such as Bob Costas and Mary Carillo have always been there to give us a closer look at our favorite Olympic athletes. But it’s the social media component that has really changed the PR game – for better or for worse. I could write an entire blog just on this angle, but for now, I’ll just keep an eye on @Jambobsled (the Jamaican bobsled team) and @TaraandJohnny, and hope that the Twitter wars stay at a minimum. Over the next 2 ½ weeks, I’ll be watching the Olympics from both the fan and PR perspective – and plan on writing another blog after the closing ceremonies. I’m sure there will be plenty for me to “dish” about – I mean – to give you all my completely unbiased and neutral PR insights. Nikki Baird is Managing Partner at Retail Systems Research focusing on trends impacting the consumer-retailer relationship, along with their supply chain and marketing implications. She brings perspective from all sides of the retail technology equation – having served in technology roles at both a large and a small retailer, and has provided advisory and consulting services for Fortune 500 retailers, distributors, and manufacturers. Janet Hawkins has more than 20 years of experience in the retail market working for industry leaders such as NCR, Triversity and SAP. She has held a wide variety of positions with areas of responsibility including global strategic business partner relationships, third party technology partners, clients and resellers, business development, and project management. This has contributed to her strong relationship management, leadership and team building skills. In your experience up to now, how have things changed for women working in the retail industry? What other changes would you like to see? What do you think are the biggest changes (technology or otherwise) most impacting the retail industry? Please read part two of our blog where we talk to Janet and Nikki about how they stay up to date on retail trends, the best advice they’ve been given and what they are most looking forward to in 2018. At Ketner Group, we live and breathe retail, grocery, consumer and ad tech day in and day out. It’s what we love to do, and, more importantly, why our clients hire us! It is literally our job to stay “in the know” on what the latest trends are in those industries and use those hooks to create media coverage-worthy storylines for each of our clients. This year has certainly seen plenty of breaking news stories (shocker, mostly about Amazon), trends that didn’t and did surprise us (chatbots will rule the world and digital platforms need to step up their game when it comes to brand safety), and enough shopping data to last us a lifetime (thank you Retail Systems Research and IHL Group!). Oh, and don’t forget the so-called “Retail Apocalypse” that dominated headlines. There are plenty of predictions on 2018 trends, but we wanted to showcase just a few retail and ad tech trends. The narrative will move from apocalypse to reformation. “Apocalypse is a silly word. It means complete destruction. People will always need to buy stuff. Therefore, retail and physical stores will never go away. They will just look different. If you ask anyone at Ketner Group, 2018 is poised to be a great year. Not only for the industries we serve, but for our agency as well. Stay tuned for some exciting announcements from Ketner Group in the next few months! Thinking through all of the information-rich sessions I attended last week, compared to those I attended 18 years prior – I am reminded how much has changed and how far we have come as a profession. In 1999, we were certainly not talking about digital marketing strategies, big data and the science behind PR, viral media strategies or how to write content for mobile. I also know that we were not talking about the new ideas of diversity and inclusion – one of the bigger themes at this year’s conference. For those of us not in the millennial generation, diversity and inclusion has historically meant adopting best practices in our industry that supports racial, ethnic, religious, sexual orientation and gender differences. This theme, however, has evolved to include diverse skill sets, mindsets and cultures at all levels of the organization. 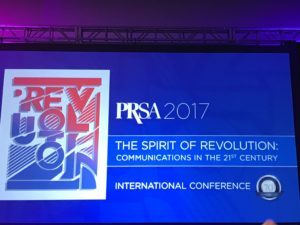 Moreover, this year’s conference gave me pause to think about what it means to be a PR professional. As a student attendee in 1999, I was eager to learn how to best make my way successfully in this profession. Now, in 2017, so much has changed – we now have more (and much better) tools, technologies and channels to help us do the job we are hired to do. Then, most PR professionals weren’t given a second glance by the C-suite. Now, we have the power to make our place at the executive table. • Learning about the #BeAnAstronaut campaign from @NASA at #prsaicon. Brilliant! Raised over 18K applicants! • Real-time pitch session with @BeaArthurLMHC at #prsaicon. Great feedback on improving PR pitches. Tighten your pitches, know your hook! Ketner Group loves telling our clients’ stories – it’s what we (said in our best Ursula the Sea Witch voice) LIVVVVE for. Not only that, we always strive to develop client relationships that are based on complete trust sprinkled with a little bit of fun – a true partnership. Soon after the Ketner Group started working with Shopgate almost a year ago, the account team (which includes yours truly) knew right away this agency-client partnership was going to be a gem! In just over nine months, the Ketner Group account team and the amazing Shopgate marketing team have developed a finely-tuned PR engine. Together, we have increased Shopgate’s presence and thought-leadership in the otherwise crowded space of mobile shopping platforms, secured some high-value media placements and of course, have had a lot of fun along the way! KG: What are the best things about being an employee at Shopgate? SG: I most enjoy the autonomy and flexibility of working in a company (and field) that’s ever-evolving. Particularly, I enjoy the efficiency of working on a lean team, where accountability and versatility are the most valued characteristics of every team member. KG: Why did Shopgate decide to engage with a PR firm? What challenges were you facing prior to deciding to hire an agency? SG: We knew we had a great story to tell, along with a great product to promote, but were having trouble effectively relaying it to the right channels. 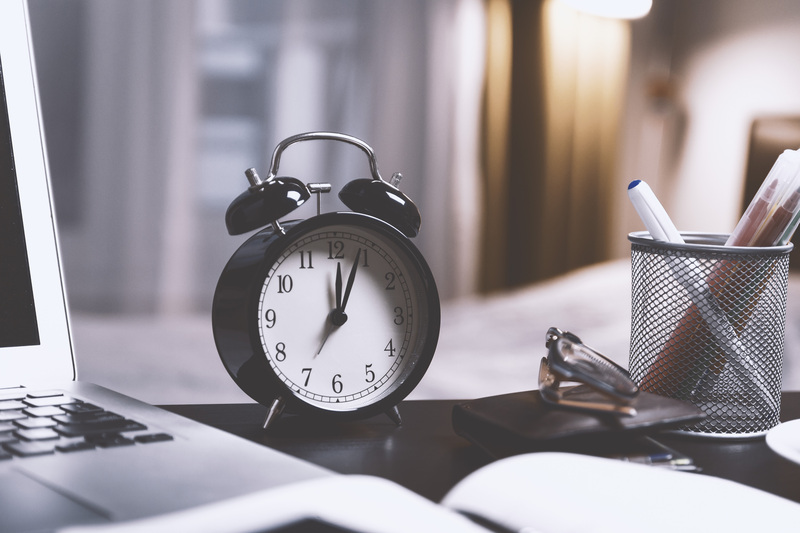 With a small team already overwhelmed with the everyday upkeep of a full marketing calendar and strategy, PR was falling to the back burner, and we identified our lack of a strategy there as a major roadblock. We’d produced so much great content, and had so many exciting announcements, features and changes that we knew would be relevant to our industry peers and prospects, yet we hadn’t properly amplified any of it. We needed a dedicated team devoted to this endeavor, and knew using an agency would give us everything we needed. KG: Why did you select Ketner Group? SG: We selected Ketner Group after meeting a few members of the team at industry events, and after understanding their expertise and experience in our particular field and region. After meeting the rest of the team and understanding their proposed strategy, we knew we’d make an excellent team. They really understood our needs, goals and roadblocks. KG: Ketner Group and Shopgate have been working together for almost a year. What have been the most successful results through your engagement with Ketner Group? SG: During our tenure of working with Ketner, we’ve been so impressed with the results we’ve seen. We’ve secured coverage in virtually all of the publications we had on our “goals” list. This has included Inc., App Developer Magazine, Mobile Marketer, Internet Retailer, The Next Web and a slew of others, including many relevant local publications key to our employer branding efforts. Our brand, product, clients and leadership team have been featured in interviews, commentaries, podcasts and articles across so many channels. We really can’t overstate how valuable the coverage has been in building brand awareness and reaching new audiences. KG: What peer advice would you give to a fellow tech vendor looking to develop a PR strategy? SG: Utilize the experts! Doing it alone can be appealing in the beginning, but the opportunities you miss by not having a team dedicated to promoting your story through earned media are invaluable. Whether you utilize an agency or not, a successful PR strategy depends heavily on your proactivity. Being involved with and on top of every opportunity – and finding your own opportunities – will make all the difference in the amount of coverage you yield, as well as the relevant relationships you’re able to forge.